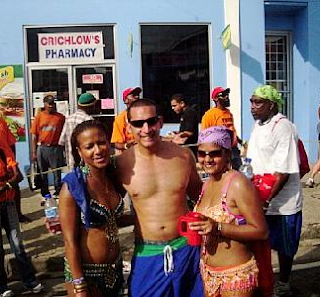 Trinidad Carnival 2008 Pictures (from the fetes to the road)! Below are pictures of a few friends of mine, including my hubby and me. I left Trinidad with over 450 pictures and with social networks like Facebook, etc ... my friends have tons more too. LOL! 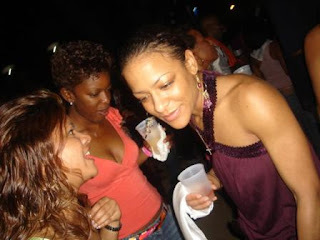 introduced me to her Jamaican friend. on the phone in a pic below. The lady to my left and I are both from St.Lucia. 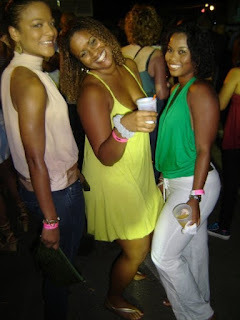 We always seem to meet and take pics at this fete every year. 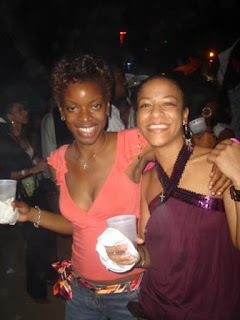 So meet her friend from St.Kitts. LOL! Here, we are at the same fete in 2005. Look at her hair style back then! You'll meet my other friend in a second! "I love the tassa drums!" So back to Girl Power 2008! So my hubby and my cousin decide to take a wine! You see, the two read this sign! We left at 12PM, next fete is at 2PM. "Get on, get on, get on!" Lucians ... representing with the St.Lucian Flag! waaave - hold it, waaave - hold it!" 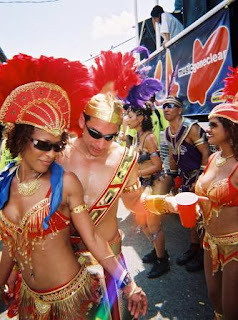 The Prince of Port Of Spain's Fete! "I want my rum in the morning, I want my rum in the evening!" Robo-Massive Take Out Something and Start to Stomp on the Ground!" 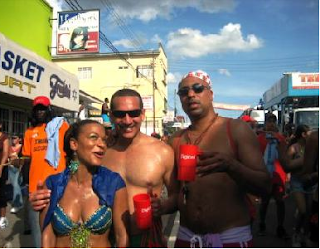 Me with Trinidad Carnival Virgin # 1! 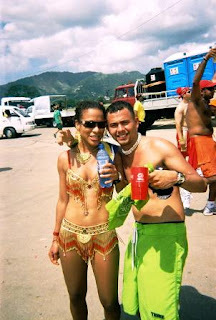 Me with Trinidad Carnival Virgin #2! My Miami college friend (best friend). 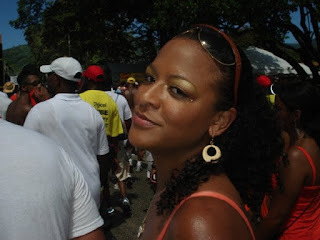 She exposed me to my 1st Carnival Experience! This was the first year we did not stay together. 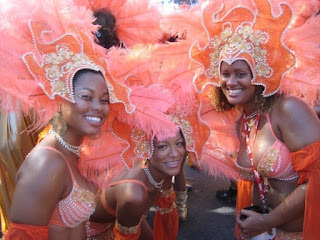 She had 2 other new Trinidad Carnival Virgins! "I just doing what I waaaannt!" "Watch how them gyal a shake their a$$!" "The sun coulda hot like fire, we don't give a damn about weather!" "Sweeter than sugar & spice!" "We not leavin' till it done!" a Crix (crackers) and cheese budget for the rest of the year!" ... Now that's funny! Haha. But come to think of it ... it's so true! I played with Harts Band. I can't seem to find a pic. now. Again, don't even ask! LOL! ... And the pre-baby body! Abs and all. LOL! My friend's ex - a Jamaican. Yep, 2 months pregnant with Ava-Sol! Looks like you all had so much fun.